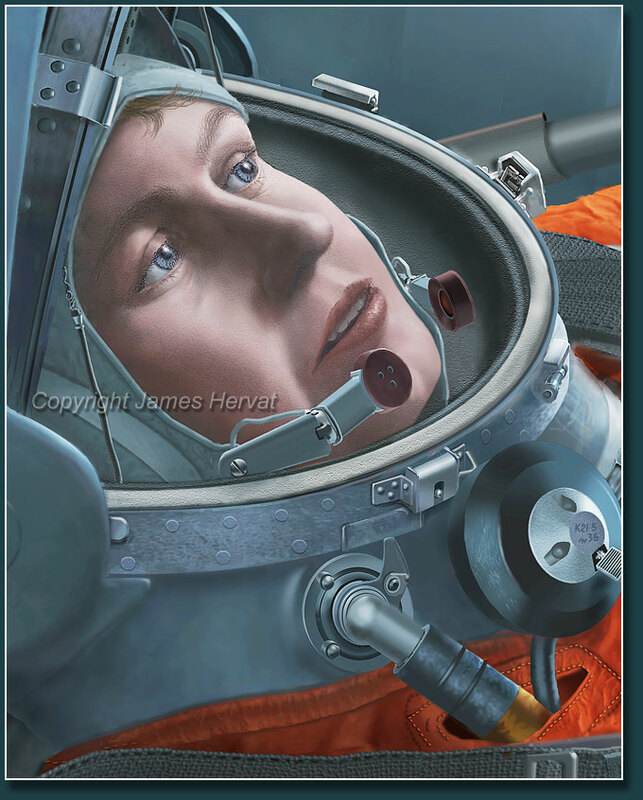 Seagull by James Hervat - Valentina Tereshkova, the first woman in space, in the cockpit of the Vostok 6 spacecraft. Seagull (2017) - On June 16, 1963, Valentina Tereshkova, age 26, lifted off from the Baikonur Cosmodrome aboard the Vostok 6 spacecraft to become the twelfth human and the first woman to venture into space. Her communications call sign was "Chaika" ("Seagull"). From Vostok’s window she described her home planet: “I see the horizon. A light blue, a beautiful band. This is the Earth. How beautiful it is! All goes well”. She later recounted seeing the lights of cities and fires in South America at night and described the moonlit Earth as “lovely”. At the successful conclusion of her three-day mission, she logged more time in space than all four of her American astronaut predecessors combined. It would be nineteen years before another woman would travel in space. Tereshkova was two when her father lost his life in World War II, and her mother raised Valentina and two other children alone. After Yuri Gagarin’s first orbital flight she answered a call for female cosmonaut volunteers and was chosen from over four hundred applicants. 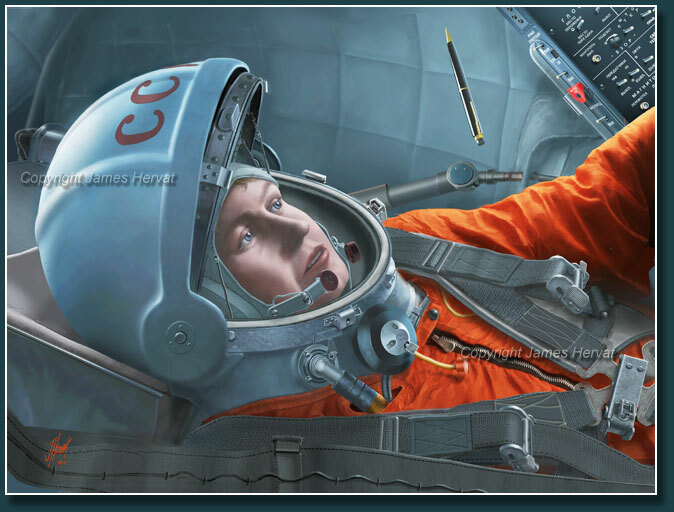 While the first Soviet and American space travelers were selected from the ranks of military fighter and test pilots, Tereshkova--remarkably--had no previous experience piloting aircraft. She was, however, an experienced amateur skydiver. 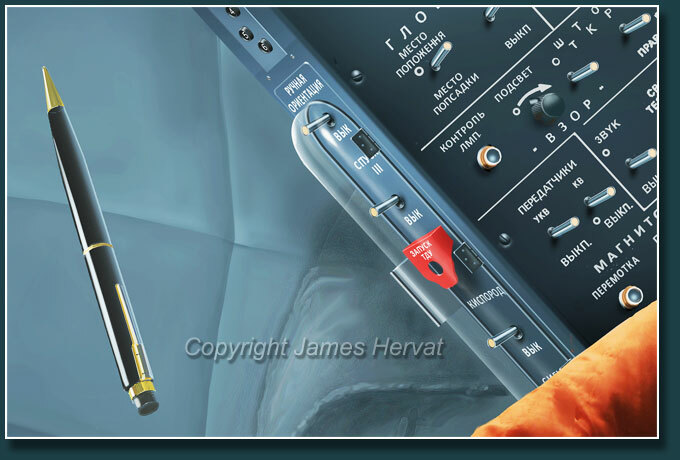 This was deemed an essential skill, as the first Soviet missions involved the pilot ejecting from the spacecraft after atmospheric re-entry. Since her momentous flight she has been a vocal advocate of space exploration and, perhaps most importantly, an inspiration to young girls--and indeed all of us--around the world. At age 76, on the occasion of the fiftieth anniversary of her mission, she enthusiastically spoke of her desire to go to Mars. While the very first space travelers are rightly lauded for their “ice-water-in-their-veins” courage, Valentina Tereshkova may well have been the most endearingly human of these brave pioneers. NOTE: the watermarks seen ont the above image do not appear on the prints.